I’m writing my first blog post with only a couple weeks left of “Study abroad” and with three months left of my “traveling abroad”. I’d like to say that I am writing so late due to this semester being a whirl wind of adventure but a more accurate reason would have to be my tendancy to procrastinate. That however, does not mean that this semester has not been a “Whirlwind of adventure” from exploring a Dutch city that I now call home, floating down the canals of Amsterdam, skiing in the italian alps, bumping into a friend from high school in the streets of Berlin, sipping monangaska and eating pastel de nata in Lisbon, exploring the Shoreditch markets in London, wandering Antwerpt for a couple hours on my way home from Portugal, zipping along the Sicilian coastline on mopeds, to freaking out because I thought I lost my wallet during a pub crawl in Dublin this semester has been far from average. I’ve visited 7 countries so far and plan to make that number about 18 before I make my way back to the U.S. of A. 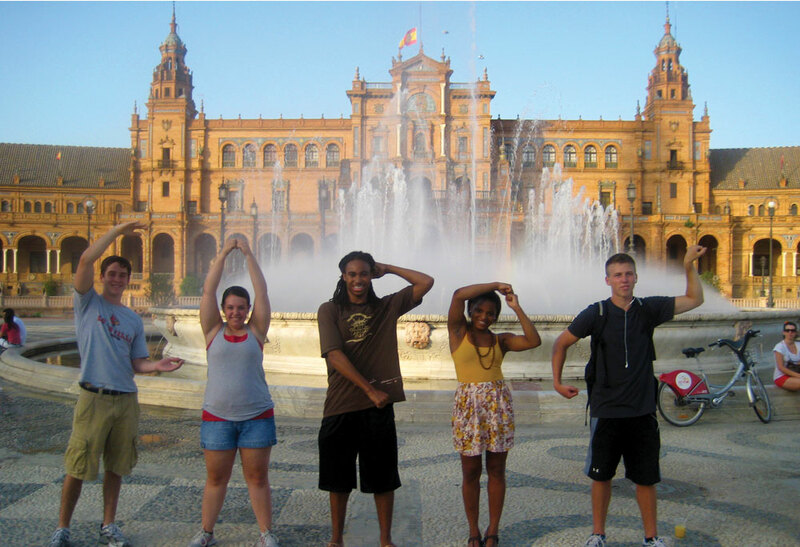 Studying abroad has been something I’ve had my eyes on since highschool. I had never been outside of the United States before coming to The Hague. Since I landed in Europe not a day has gone by that I regret my decision to come. Before leaving many people had questioned whether I really wanted to leave for 7 months and I may have questioned myself a couple times too. Seven months is a long time to go without my family, my friends, my car, Burger Boy, or Dairy Kastle. While I do miss all of those things I am way to busy experiencing what the rest of the world has to offer to really care.